Desi Smith/Gloucester Daily Times. 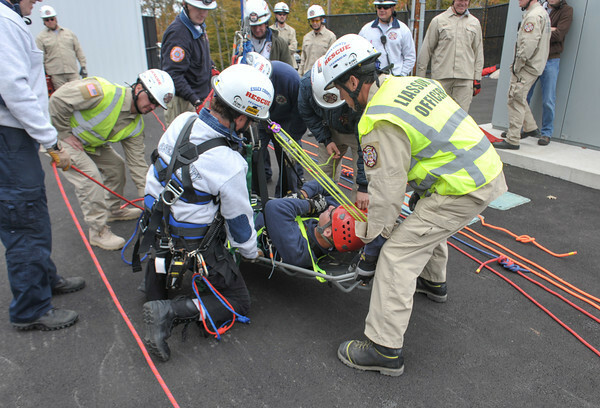 North Andover Fire Fighter John Weir (in basket) is safe on the ground after being lowered some 400 feet from insde the Varian wind turbine on Dory Road, Gloucester by Ipswich Fire Lt. Andy Theriault (left) in a rescue training exercise with the The Essex County Technical Rescue Team Wednesday afternoon. October 18, 2013.